Emmanuel Macron's victory gives an extended lease of life to French liberals. Emmanuel Macron’s victory gives an extended lease of life to French liberals. 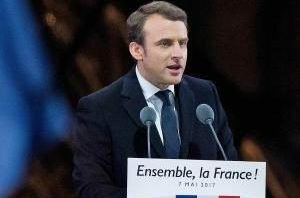 Emmanuel Macron’s victory in French presidential election is very significant. His victory stemmed the tide of right-wing forces, though temporarily, and gave an extended lease of life to the famed French liberalism. Macron’s victory came as a surprise at a time when the situation is very ripe for the emergence of the right-wing and many predicted the victory of Marine Le Pen. His victory came against the backdrop of the ever strengthening anti-globalization movement, the rising Islamorealism (an antonym of Islamophobia), jobless growth and increasing concentration of economic power. Now the big question is whether this triumph of liberalism, which manifested in the form of Macron’s victory, will sustain in the long run or is it just a temporary phenomenon? Macron, though emerged victorious, has almost insurmountable challenges ahead. His biggest challenge is pre-empting the Islamist terror attacks because each and every terror attack will only further strengthen the far-right. The second major challenge is making sure that the benefits of economic growth reach all the sections of the society. Because the globalization-induced jobless growth and unceasing Islamist terror attacks are the major reasons behind Brexit and the triumph of Trump. His ability to provide stability, as it has already been mentioned, depends on his ability to combat Islamists and ensuring job-laden growth. As far as the pro-Europeanism is concerned it is already on a sticky wicket and there is a likelihood of more countries following the ‘Brexit’ route. Technocratic governance, most of the time, either ignores or fails to perceive the interests and preferences of the people properly and blindly goes ahead with its so-called scientific and precision administration. However, society and social matters can’t be subjected to precision engineering. Over the past four decades, more and more French people have identified with a specifically French brand of liberalism that emphasizes reform of the state, a greater openness to non-French ideas, a recognition of the plural character of French society, and market-orientated economic reform. Elements of these liberal ideas were taken up by Mr. Sarkozy and Mr. Hollande, but Mr. Macron has them all. Greater openness to non-French ideas is a great thing but at the same time it is extremely dangerous to be ‘open’ to Islamist ideas, which are bent on dehumanizing women and taking the humankind back to stone ages. The market-oriented economy only promotes concentration of economic power in a few hands and leads to obscene flaunting of wealth, which deprives the masses a decent life. Macron, if he wants to strengthen his position, has to be vary of these two things and tread cautiously. Otherwise, the far-right forces, who remain ever-ready to sneak in, will seize even the slightest opportunity to bounce back. This entry was posted in Politics and tagged far-right, French elections, liberals on May 9, 2017 by Dr. Ramachandra Reddy.